IBM Cognos Analytics is a really great piece of kit for helping to drive future business decisions. But with so many features, including an intuitive user dashboard and extensive reporting functionalities, are you sure you’re getting the most out of your investment? We offer a few simple tips to help businesses unleash the full potential of IBM Cognos Analytics. There is no doubt that IBM Cognos Analytics is a piece of business intelligence software that many rely on for valuable insights into their operations. As with any tool of this nature, insider knowledge is the key to unlocking its potential. Of course, the sheer scope of capabilities is sometimes a little overwhelming at first. If you need a few tips on using IBM Cognos Analytics to its full potential, keep reading. Cognos features, such as the intuitive user dashboard and fantastic reporting functionality, are designed to drive innovative and sustainable decisions. While it is simple enough for you or your staff to dive straight into the data, it is worthwhile to source some tailored training. This will enable you to get expert advice on the features your business will most benefit from in Cognos, as well as helping you use them effectively. There really isn’t a better way of ensuring ROI than properly training your team. Coming Soon: Influential Software’s Cognos Analytics Training courses! As a business intelligence tool, Cognos Analytics offers many functions to assist with decision making within your company. Once you have got to grips with all of these, make sure to use them! For example, harness the power of IBM Cognos Analytics to generate reports that draw together data from various sources, allow different users to work on a collaborative report in a safe manner. As with all software packages, IBM Cognos Analytics regularly releases new versions. It is worth keeping up with these, as new versions have updated functions that can really help your business, as well as security patches. By sticking with an older version, you are in effect limiting what the software can do for you. 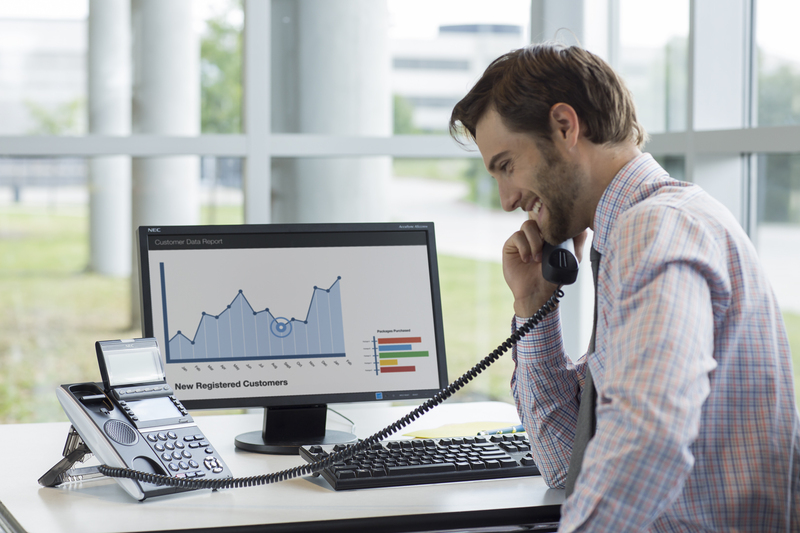 Is your business using the most up-to-date Cognos Analytics release? The only way you can use IBM Cognos Analytics to its full potential is by taking the data and reports it generates, and using them to create insight into your business. This is at the heart of what business analytics and intelligence are all about. Once you have the necessary reports, make sure to share and discuss them to inform future plans or engage in problem-solving. Need some help unleashing the full potential of IBM Cognos Analytics? Get in touch with us today and let us show you how this tool can create invaluable change for your business. What If IBM Cognos Analytics Could Answer Your Business Intelligence Questions? 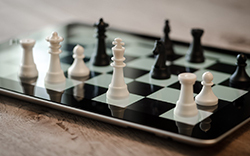 Business Intelligence software is now essential for enterprises and growing businesses alike, but what if you are not getting the results you need? Before you despair, ask this: what if IBM Cognos Analytics could provide the inspiration needed to drive your business? 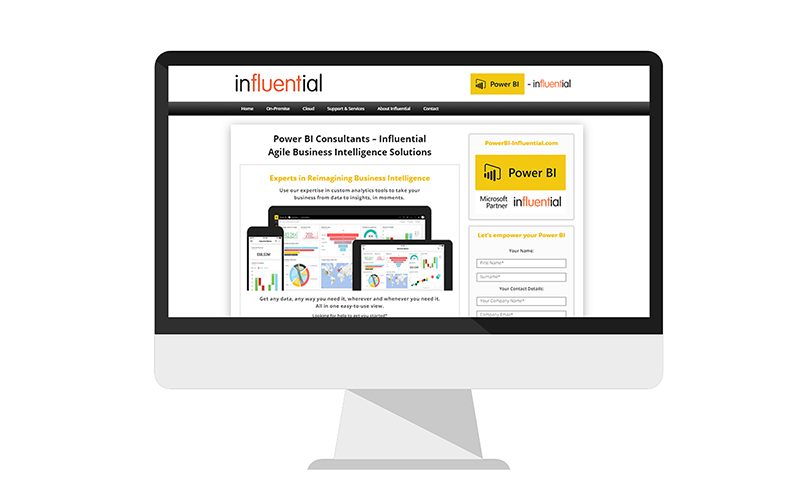 It has centralised, easy-to-use Business Intelligence dashboards that cut through data quickly. This gives your business the ability to reflect and forecast, providing a basis for well-informed and confident decisions. So it seems we have an answer: IBM Cognos Analytics. Business Intelligence software is now mandatory for organisations wanting to enjoy strategic and profitable growth. BI is the only way to support and sustain lean and agile operating systems. However, company growth doesn’t just come from better efficiency. Successful organisations have a vision. They also have the confidence to innovate and take well-planned risks. Does that mean business inspiration relies on the best data analytics tools as well? What If You Contacted Influential about Cognos Analytics? IBM Cognos Analytics is a great launch pad for business discussions and thinking that includes a “What if…?” Businesses that thrive on innovation are constantly looking for new product or service ideas, as well as new markets to pursue. In that case, the last thing you need is an ocean of information to navigate – or a complicated piece of software with whistles and bells. When inspiration is one of your driving business needs, having a centralised, easy-to-use business dashboard helps cut through data quickly. For example, you can use IBM Cognos to design and create your own intuitive BI dashboard. Configure it to provide the sort of autonomous and simple-to-access analytics that are your specific “food for thought”. Be warned though: not all BI offerings have this “self-service” flexibility and versatility. Inspired and inspirational companies know the importance of unlocking the creativity and motivation of their team. Some of your potentially profitable “What if…?” leads may come from anywhere in your organisation. Your teams need a tool that is readily available to explore and share ideas. That’s another reason why choosing the right BI system is crucial. 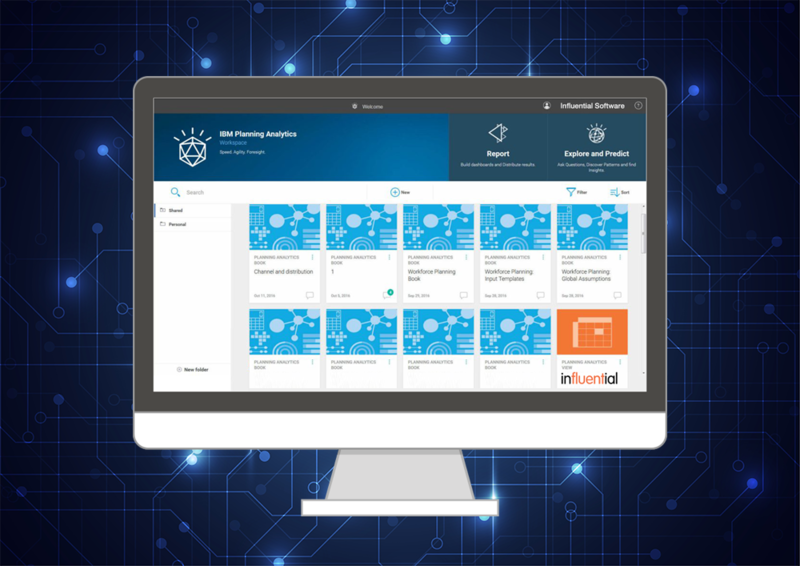 For example, IBM Cognos Analytics provides quick access to information via its drag and drop dashboard, that any user can navigate on any device. They can hop on for either enterprise-wide reporting or “dip in” to specific areas of interest or concern. As it’s web- or cloud-based, users can then report, share, and collaborate on their ideas instantly. So “What if” IBM Cognos Analytics could deliver this and more? You need never miss a good idea again! You can hit a brick wall in your innovation. 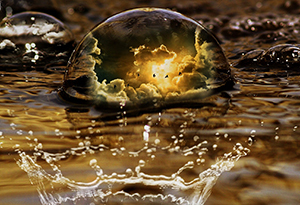 Creativity can dry up. This is another time when data analytics can become your “new best friend”. For example, IBM Cognos Analytics is particularly adept at drilling down into data and uncovering information your organisation may have previously missed. In fact, you could end up with insights you didn’t even realise you needed! ‘What If’ IBM Cognos Analytics Has the Answers You Need? What if you contacted Influential Software to find out more about IBM Cognos Analytics? There’s one way to find out. 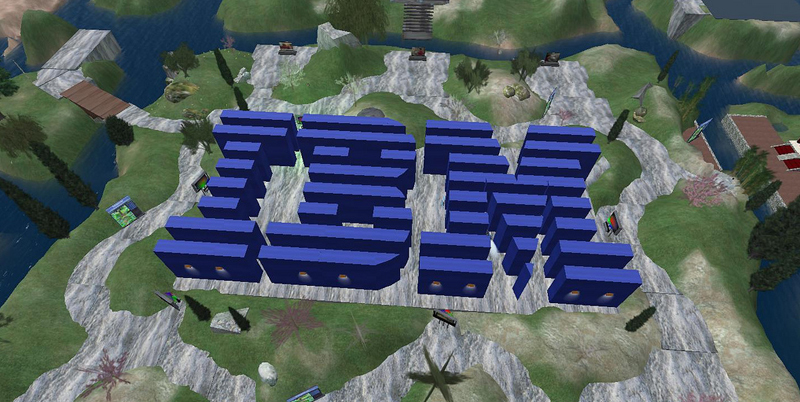 Influential Software is an IBM UK Partner. We offer complete IBM Cognos Solutions: IBM Cognos Licence Sales, IBM Consultancy, and even Cognos Analytics support packages to suit. 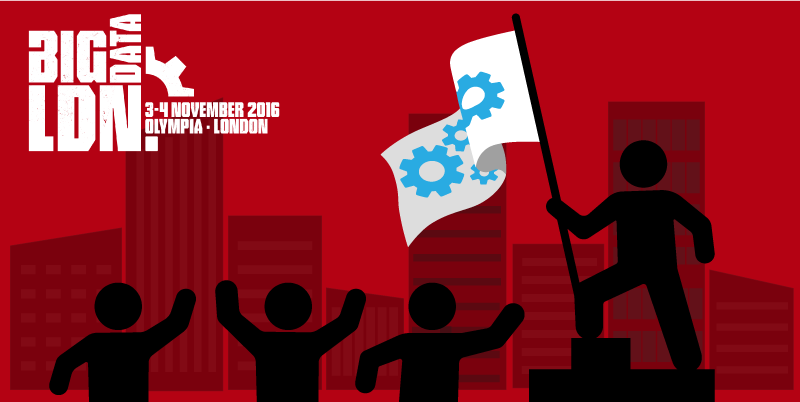 A Big Data Revolution took place in London this November, at the Big Data LDN event. Influential teams were delighted to attend and engage in discussions and demonstrations of the latest technologies from leading industry providers. 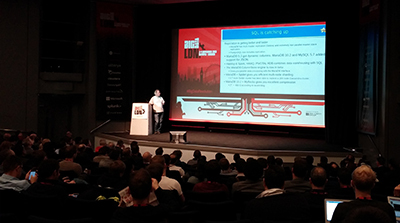 This month the Influential Java Team joined the ‘big data revolution’ at Big Data LDN (London), a two-day event about Big Data, Analytics, and building Data-Driven Enterprises. Our developers attended talks from industry leaders, heard positive case studies from global corporations and were able to view technical demonstrations of all the latest products in action. Data Visualisation – a key part of our business, our developers were keen to attend the talks about data visualisation from companies like Microsoft, with their product: Power BI. Visualising your data is vital to understanding it. 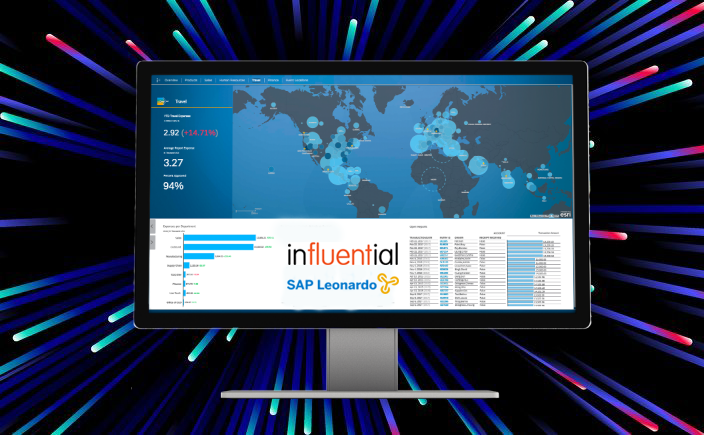 At Influential we know this very well and work with a variety of tools to deliver this feature to our clients, including SAP Lumira and Dynistics . We have even developed our own BI platform, ATLAS Publishing Intelligence. Data Analytics – the Big Data LDN Exhibition provided the chance for our team to discuss data analytics with representatives from IBM. As Advanced Business Partners, Influential developers are always interested to view demonstrations of the latest Cognos product versions and functionality. Data analytics and reporting are core to the Business Intelligence and software development work we do, so demonstrations and talks such as these are invaluable. Be Part Of the Big Data Revolution! At Influential we’re passionate about technology and we pride ourselves on continuous innovation and exploration of the latest tools and platforms available. The Big Data LDN event topics were all in line with our ethos of keeping on the cutting edge as a business, offering insights and examples of the range of technologies that we can offer our customers. Technology does not stand still, so nor do we. We’re committed to doing our part to maintain expertise and knowledge of the best tools and platforms available, and ensuring our teams keep up-to-date with their specialist skillsets is a top priority at Influential. This, combined with a critical understanding of the challenges that our clients face, makes us expertly equipped to provide the best solutions possible. Find out what solutions we can deliver for your business. Just about every business today uses spreadsheets in reporting, despite not being the right tool for the job. 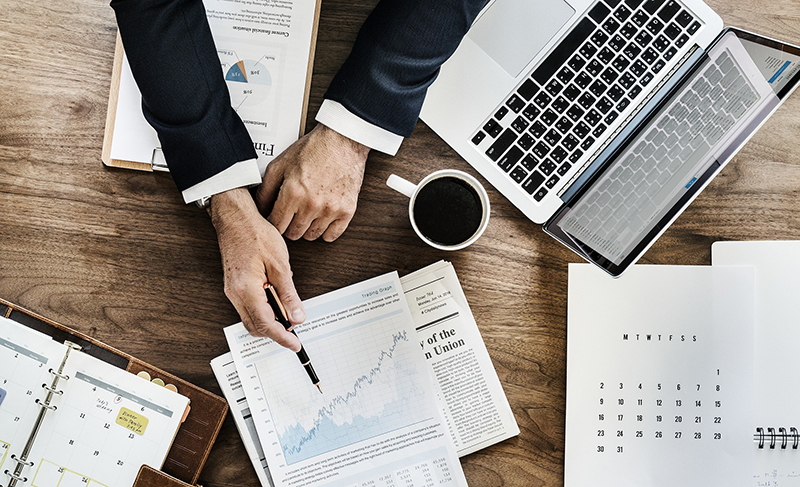 In fact, there are several reasons why spreadsheet reporting can be bad for your business and why you should consider the alternatives right now. “What’s wrong with spreadsheet reporting?” I hear you ask. Quite a lot, actually. 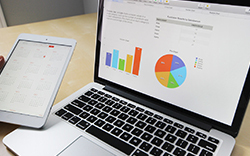 Spreadsheets are designed primarily as an accounting tool, to digitally represent worksheets. They are not the versatile, multi-purpose solution that all-too-many business professionals mistake them to be. In fact, businesses’ over-reliance on spreadsheets for processes like reporting is a well-documented problem, with expensive inaccuracies. There are numerous reasons why, but let’s focus on some of the key ones first. 1. It’s easy to make mistakes. Spreadsheets rely heavily on manual input, and human error is an obvious element of risk. Various studies over the years show that almost 90% of spreadsheets out there have errors, some creating financial discrepancies of billions – that’s right, billions. Despite the costliness of potential errors, only a fraction of users are trained or experienced enough to leverage them properly. Those that are trained would know that they’re rarely even the right tool for the job. With such a high margin for error in spreadsheets as a reporting tool, how can you fully trust the answers you’re gathering? 2. They’re a productivity drain. It’s simply time-consuming having to manually fill out hundreds of little cells, copying and pasting information from one sheet to the other and producing clumsy, ineffectual reports. Duplication of data is a frequent occurrence, requiring yet more time to fix if it’s even spotted at all. For so many companies this sort of process is conducted weekly, meaning a scheduled routine of time-wasting that few can afford. In fairness, this has been improved marginally through adoption of cloud-based platforms where you can better maintain a single copy of the spreadsheet – the all important “single version of the truth”. 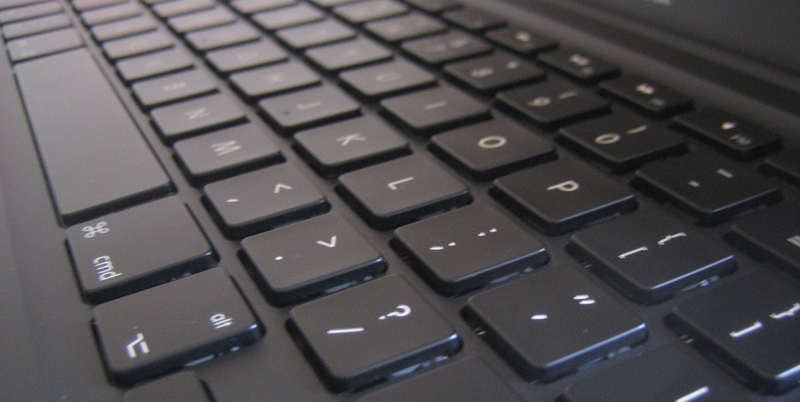 However, even with cloud-based spreadsheets, it’s tricky to govern how users input the data. Who is inputting? When are they inputting? 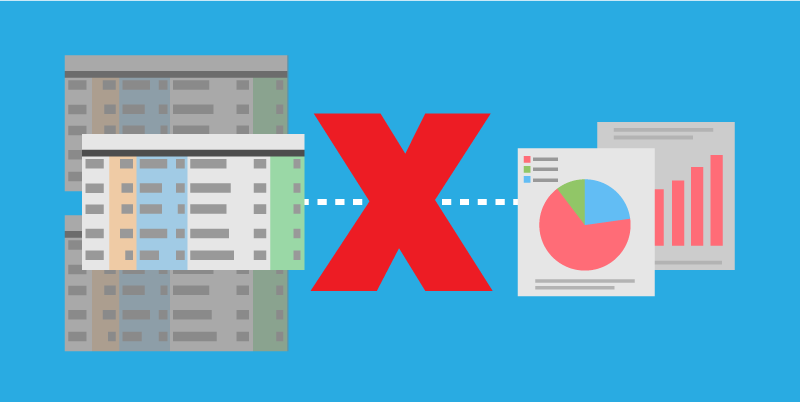 If mistakes are made then there is no ‘paper-trail’ for auditing, and locally-stored and shared spreadsheets are even worse; multiple copies with conflicting input from numerous sources. 4. They’re simply no good for analytics. Analytics are a vital part of reporting, and spreadsheets offer virtually nothing for this. Critical data gets hidden or lost completely in a mass of rows and columns, with no way to easily translate anything into tangible insights. Data visualisation is almost impossible with the limited range of chart-building functions that spreadsheet programmes have to offer and without that there’s no way to summarise key data. Examining data from different spreadsheets becomes another manual process and there’s no way to link data from sheet to sheet – a link that is often as important as the data itself. What’s The Right Tool For Reporting? So what’s the alternative? The short answer: dedicated, purpose-made software, allowing your spreadsheet software to go back to doing what it does best for your business. To report on your data it needs to be stored somewhere. The proper way to do this is with a database or data warehouse, not a spreadsheet and indeed not stored away in anything on your local machine. Databases allow for automated integration of data into storage, with the ability to access it on an ad-hoc basis. Once stored and accessible you can view, manage and visualise your data in dedicated platforms. They range in scale from products such as Cognos Analytics, Microsoft Power BI and SQL Server to Dynistics dashboards and our very own intelligence and reporting platform ATLAS Publishing Intelligence. Need to exchange data between systems? Instead of exporting and importing CSV files from system to system, why not expose your data to an API? This not only paves the way for frictionless connectivity between your systems, it is the foundation for improved integration with other applications, partners and customers. All of these tools are configurable and easy to use. You and your teams can customise dashboards, data visualisations and reports to give you the data you actually need, in a fraction of the time, error-free. The benefits to your productivity and business intelligence are well worth the investment to get started and you’ll never regret kicking the spreadsheet addiction to the kerb. 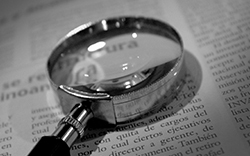 Does your business reporting process need a spreadsheet intervention? It might be time to get help. A company specialising in the installation of residential security and alarm systems was in need of an updated reporting solution. Their existing system involved a heavy-duty spreadsheet, with multiple tabs containing all their critical data about customers, sales records, products and sales actions. This data was manually extracted from the spreadsheets for reporting by applying filters across the numerous tabs. This process was time-consuming and didn’t offer the accuracy and reliability that the client needed for business reporting and to assess further sales opportunities. Influential teams worked closely with the client to define the functions the existing spreadsheet and proposed a customised Salesforce implementation to automate their processes. The bespoke Salesforce instance was built and all data from the spreadsheet was imported. The company now has easy, unified access to their data and host of custom reports that are scheduled to run automatically when needed. Reports can now be generated in a fraction of the time with increased data accuracy, boosting company productivity and offering improved business insights.